I’m going to have to make this a quick post, because I need to pack for a trip! While I’ve had many successes with cake, I can’t say the same for muffins. I’ve had more misses than hits in the muffin department, and I think it’s because of the way the ingredients are combined. No creaming, just mixing wet ingredients into the dry and baking. I don’t think I have the lightest hand when combining muffin batter, and it results in strange aftertastes. I once made an atrocious muffin from How To Be A Domestic Goddess, and it had a harsh baking soda aftertaste. So, for the next muffin recipe I tried from HTBADG, I halved the amount of baking powder and soda. And I got a disgusting, claggy, underdone, flat muffin. So I learned my lesson: follow the recipe. Which is what I did with these upside-down caramel apple muffins. The recipe is from NYT’s Melissa Clark, a writer I adore. She elevates the everyday with a twist in technique or by adding an unusual element, and her laidback style (in front of the camera and on paper) makes the recipe easy to follow. 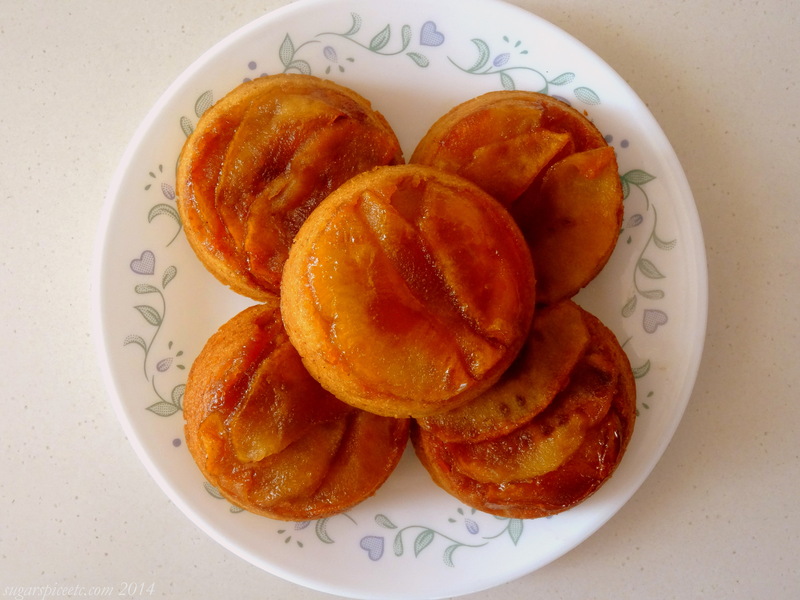 In this recipe, she’s added fruit and baked it under dollops of muffin batter, so the apple slices get a lovely caramelization. Plus, they look pretty cute. The only substitute I used was yogurt in lieu of sour cream. The original recipe is over at the NYT cooking page. Reblogged this on SUPER FABULOUS.